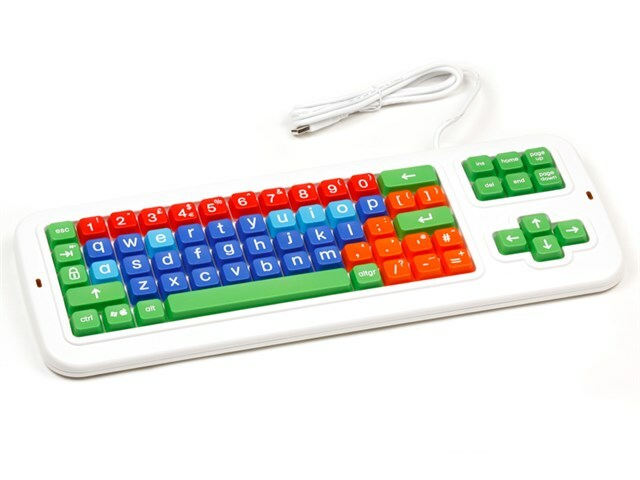 The Clevy 2 Keyboard is tough, clear and child-friendly, with large lower case letters. The simple layout and colour-coding makes it easy to find the keys: blue for letters (light blue for vowels), red for numbers, orange for punctuation and green for actions. Big keys (2cm x 2cm). Colour-coded keys for easy/fast recognition.